Why be ordinary when you can be extraordinary? Come to Ink Society Tattoo Studio to browse our selection of body piercings and pick the one that's right for you. Our technique is safe and sanitary, and we'll instruct you on proper care of your piercing once we complete it. We offer all piercings, from the typical to the exotic. Surprise your significant other by getting a tongue piercing, or shock your parents by piercing your nostril. Best of all, get a piercing just for yourself. We pierce navels, lips, eyebrows and ears. 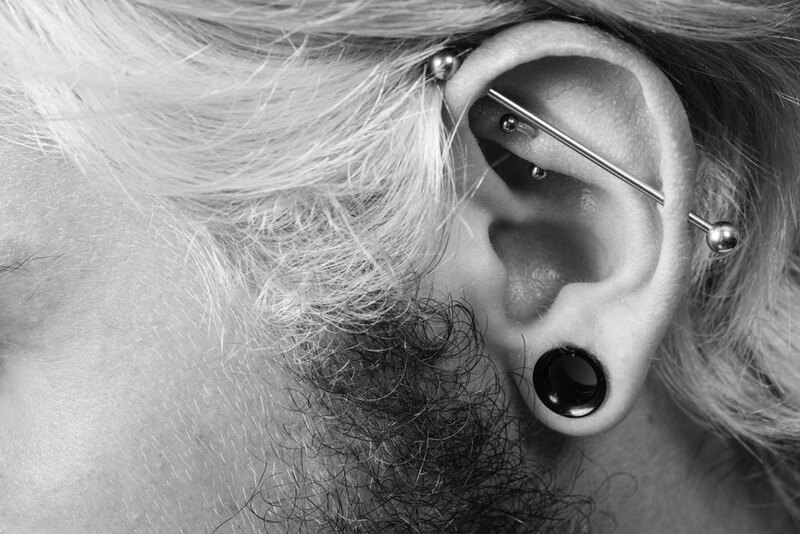 Standard piercings typically cost $30 while ear piercings cost $40. We also offer custom piercings that run $30 to $80. These include everything from eyebrow piercings to lip piercings. We perform genital piercings on request. On Wednesdays, all piercings are buy 1, get 1 free and includes jewelry. Call 915-260-8331 today to learn more about body piercings in El Paso, TX near Fort Bliss. Contact us now to speak to a piercing specialist about getting ear piercings in El Paso, TX near Fort Bliss.